to be still and reflective. This morning was one of those days… It started with a gentle nudge that woke me out of my sleep. Prayers for my husband. My children. Grandbabies..
Heavenly Father, thank You for this mornings wake up call.. 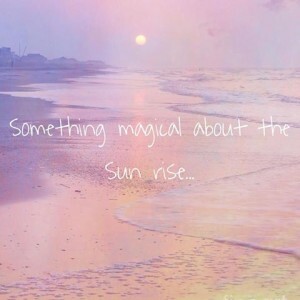 There is something so magical about the sunrise… and I praise Your Holy Name.